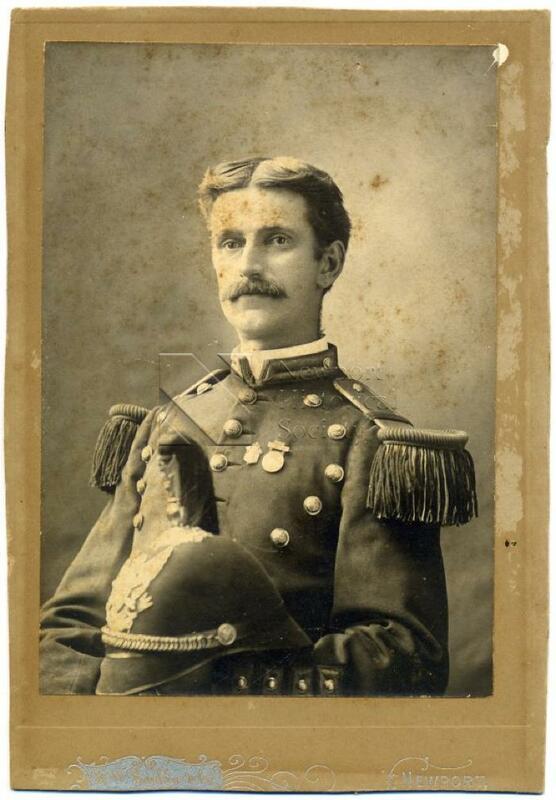 A photograph of Milton Dennis, seen wearing a military uniform with epaulets and holding a helmet. Photograph was taken in the studio of H.W. Rankin & Co., Newport. Handwritten text on reverse reads: "Uncle/Milton Dennis/Brother to/John + Emerson".